Operation Wallacea is a leading environmental research organisation, who design and implement biodiversity surveys and expeditions undertaken by volunteers from schools, colleges and universities. 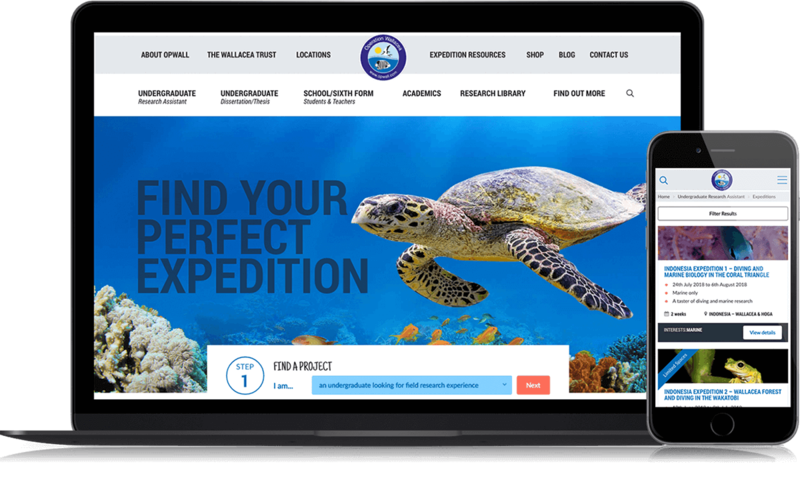 The addition of an online e-commerce booking system allows Operation Wallacea to process expeditions bookings directly to volunteers. The re-imagined navigation and user experience of the whole site has improved customer engagement and helped grow their audience considerably!